2 Up Front welcomes MLS Cup Champion Wells Thompson to talk about his journey through the soccer world and more importantly, his journey with Christ. The USWNT finished off an impressive #SheBelieves Cup with a victory over Germany. Baxter and Simon voice their opinions on the team and Women's Soccer's popularity going forward. American FootGolf League CEO and Founder Roberto Balestrini joins the program to talk about the growing sport and an exciting tournament coming up at the end ... See More of March. To close, it's all MLS Opening Weekend talk with the guys. From 50/50's to goals to predictions. Don't miss a minute of the show! 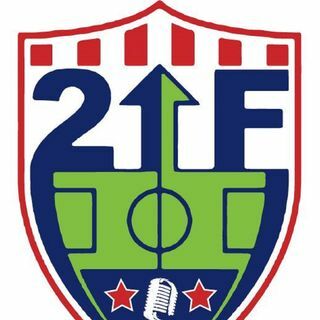 If you ever want to contact the guys, e-mail the show at 2upfrontsoccer@gmail.com or visit their website 2upfrontsoccer.wix.com/2upfrontsoccer.